The Wicked Garlic ('Wicked') is a home-grown Italian inspired restaurant who recently opened their third outlet in Orchard Cathay Cineleisure. So far, its existence has been under the radar but their regulars customer has been growing steadily in their International Plaza and Clifford Center outlets. Wicked made their name by serving three main items: Wicked Pizza, Wicked Pasta and Wicked Risotto. Their signature ingredients are their king prawns, which they used in the more than half of the dishes on their menu. Salmone Affumicato ($19) is their signature Wicked Pizza. 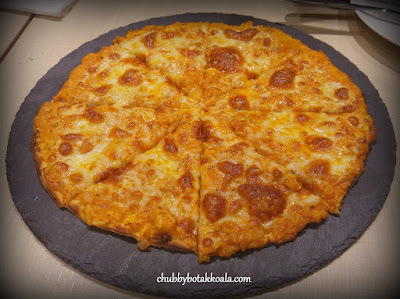 Thin crispy homemade pizza dough, topped with homemade tomato sauce, eight smoked salmon slices rolled, mozzarella cheese and dill. Unlike regular smoked salmon pizza that skimps off the ingredients, the size of the rolled smoked salmon will make you drool. It combines the saltiness from the smoked salmon with the creaminess of the cheese, definitely a must try pizza here. For the carnivore, Meat Lovers Pizza ($21) is something that you can look forward to. Slices of Spicy Italian Sausages, Bacon, Minced Beef topped with Mozzarella Cheese. The overflowing topping will definitely deliver a meatgasm experience you are looking for. We tried two other pizza, Granchio E Pepe / Crab Meat Pizza ($15) and Garlic Prawn Pizza ($24). The crab pizza is good if you are looking for something more subtle. The combo of crab meat with the creamy cheese, turn this dish into a perfect snack instead of something hearty. 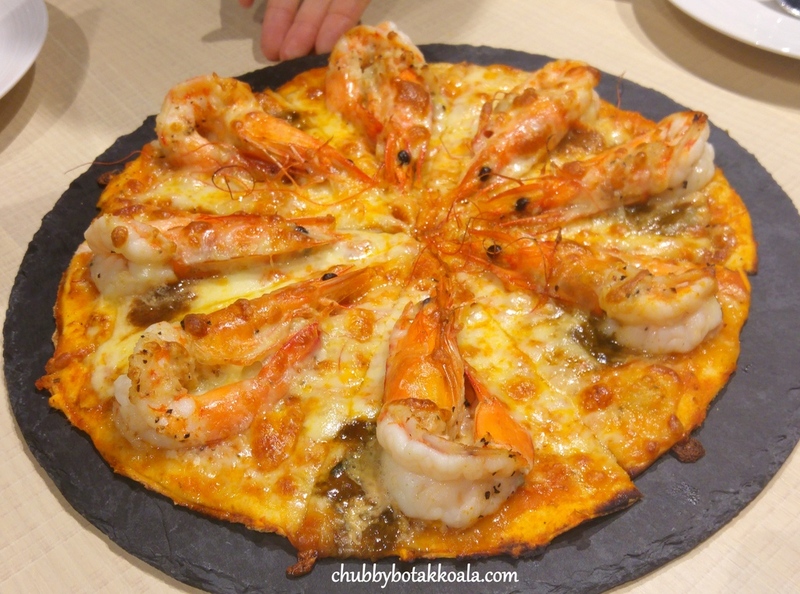 However, the Garlic Prawn Pizza feels disjointed. It's like eating two different dishes instead of one. One of the items that catch my eyes in the menu is their Risotto. Their signature wicked risotto is Curry Prawn Risotto ($23). 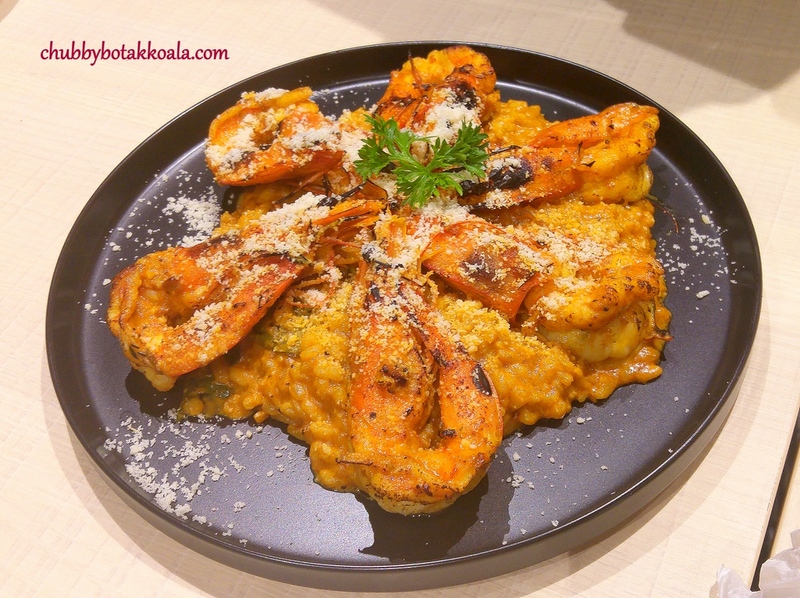 Combining the creamy al-dente Italian Arborio rice with local curry spices and the big size grilled King Prawns. 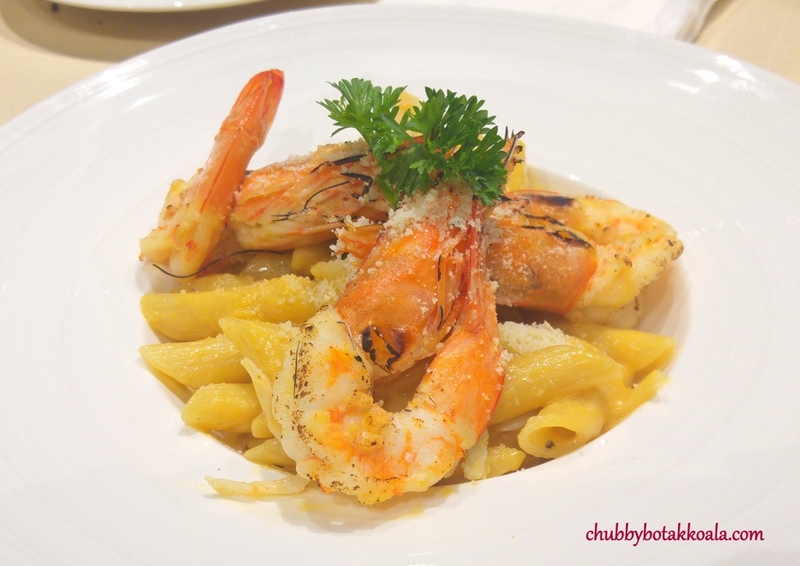 I simply loved the creamy curry flavour and the combo of sauce and the King Prawns definitely works well together. The next type of risotto is definitely suitable for those who can accept or like blue cheese. Risotto Quattro Formaggi e Funghi ($15). Using four type of cheese Tallegio, Gorgonzola, Mozzarella, Goat Cheese plus porcini mushrooms, expect extreme pungent in your face cheese flavour. I personally cannot take this, but those blue cheese lovers will probably love this. Spaghetti Marinara Alla Cartoccio ($19) is one of the creative dish served at Wicked. It is spaghetti tossed with Prawns, Squid, NZ half shell mussels and Asiatic clams in tomato sauce, wrapped with parchment paper and oven baked. The aroma when you open the parchment paper will just wet your sensory palate, however it does not taste as well as it smells, as the tomato sauce was a bit too sweet. Jumping on the bandwagon of salted egg, the team at Wicked has created Salted Egg Penne. You can consider this dish to be elusive as its presence is not permanent on the main menu yet. So check with the service staff for this. Another interesting dish here is their Gnocchi with Truffle Cream Sauce ($22). If you are a gnocchi purist, you will definitely walk out the restaurant after the first bite. Due to operation issue, Wicked has to pan fried their gnocchi first till it is crisp before cooking it with truffle cream sauce. It has an interesting crisp texture on the gnocchi that prevents it from clumping. Definitely something different. The décor of The Wicked Garlic is very simple. Combination of light wooden colour for the flooring and table with the contrasting black colour of the wall. The view from the restaurant is very good as it is overlooking the Heeren and buzzing Orchard Road. Overall, for a Wickedly Good Pizza, Pasta and Risotto without burning a hole in your pockets, this is definitely the place to go to. Don't expect your Italian traditional bologese or your 20 minutes risotto, instead come with open mind and savour their fresh and lovely ingredients. Cheers!! Thank you very much to Kris, Stanley and The Wicked Garlic Team for the tasting invitation. OH: Mon – Fri: 11.30 – 21.00; Sat: 10.00 – 20.00. Closed on Sunday. OH: Mon – Sat: 11.30 – 21.00. Closed on Sunday.